The Chicago Blackhawks will be the opponent for the Washington Capitals in the 2015 Bridgestone NHL Winter Classic. That's one of the highlights of the schedule for the 2014-15 NHL season, which was released Sunday. The Blackhawks and Capitals will meet on Jan. 1 in what has become the League's marquee regular-season game. This will be the second Winter Classic for each team. Chicago played host to the Detroit Red Wings in 2009 at Wrigley Field, and the Capitals were at Heinz Field to play the Pittsburgh Penguins in 2011. The Blackhawks also participated in the 2014 Coors Light NHL Stadium Series against the Penguins in the snow at Soldier Field. 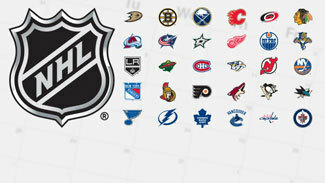 Another highlight is two Saturdays when every team in the League will be in action, in 15 games. One is the first Saturday of the season, Oct. 11, and the other is the final day of the schedule, April 11. The season begins Oct. 8 with four games, including the Stanley Cup champion Los Angeles Kings hosting the San Jose Sharks at Staples Center. The Sharks took a 3-0 lead in the first round of the 2014 Stanley Cup Playoffs against the Kings, but Los Angeles rallied and went on an incredible run to a second championship in three seasons. The season ends with these rivals, who have played each other in three of the past four playoffs, meeting at Staples Center. The Kings defeated the Blackhawks in another epic seven-game series in the Western Conference Final. They meet for the first time in 2014-15 at Los Angeles on Nov. 29, and the Kings' first trip back to United Center, where Alec Martinez scored the first of his two series-clinching overtime goals, comes March 30. Los Angeles has a home-and-home with the Anaheim Ducks on Nov. 12 and 15 in the first meetings between the teams since the Kings won the inaugural freeway series in the second round of the playoffs in seven games. The Kings' first rematch with the Stanley Cup Finalist New York Rangers is at home Jan. 8. One of the other top rivalries in the NHL will resume Oct. 16 when the Boston Bruins are at Bell Centre to play the Montreal Canadiens. It will be the first meeting since the Canadiens upset the Bruins in seven games during the second round of the playoffs. For the first time in franchise history, the Nashville Predators will not have Barry Trotz behind their bench. Now coaching the Capitals, Trotz will return to Bridgestone Arena with his new team on Jan. 16. Former Canadiens assistant coach Gerard Gallant will face his former team Dec. 30 when Montreal visits the Florida Panthers. Incoming Carolina Hurricanes coach Bill Peters will enjoy a reunion of his own on Dec. 7 when he hosts the Detroit Red Wings, with whom he was an assistant coach for three seasons. The regular season ends April 11 with 15 games. That Saturday includes the Canadiens playing at the Toronto Maple Leafs and the Capitals hosting the Rangers at Verizon Center.